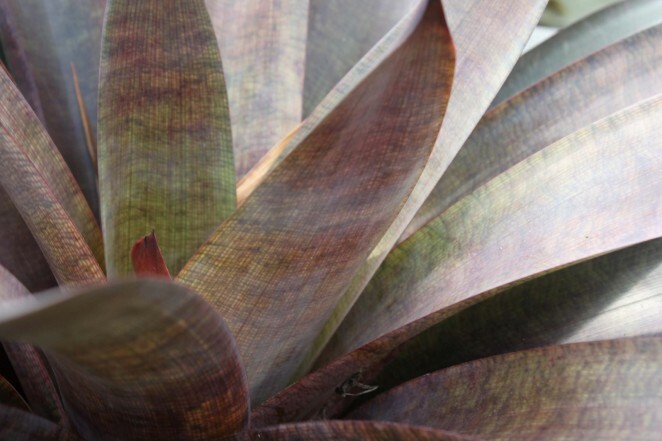 Continuing our "Botanical Basics" series, we are taking a closer look at bromeliads. Bromeliads come in a wide range of species, including a Hawaiian favorite: the pineapple, and Tillandsia: also known as "air plants". Bromeliads tend to be easy to grow with vivid, long-lasting blooms & ornamental foliage. Native largely to the tropical Americas, these plants are often used in landscaping in Hawaii, while varieties such as Vresia & Tillandsia make beautiful indoor plants. Vresia plants can often be found at our shop, & we always have a variety of Tillandsia on hand for purchase. 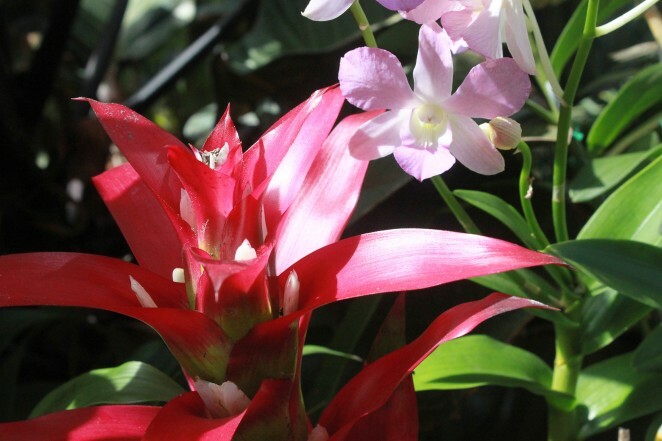 Despite the variety found in bromeliads, they share many common characteristics. All bromeliads leaves form a spiral arrangement, sometimes so tightly that it forms a "cup" which collects water & plant debris. Tiny scales on the leaves (called trichomes) reduce water loss & give bromeliads a silvery-white, fuzzy texture or form patterns & banding. Not all bromeliads bloom, but the ones that do produce a flower stalk from the center of their leaf "rosette", flowering once & then producing keiki. Bromeliads are adapted to a number of growing conditions; found at altitudes from sea level to 4200 meters, & in diverse environments from rain forests to deserts. Species can be epiphytic (growing on trees, with no need for soil) or lithophytic (growing on rocks), while some grow in soil. Despite these differences in their natural environments, there are a few guidelines that can be broadly applied to help you maintain your own bromeliads. What kind of soil & fertilizer does my bromeliad need? Most bromeliads will do just fine in a light, well-draining mix (the exception being epiphytic bromeliads known as Tillandsia or "air plants". 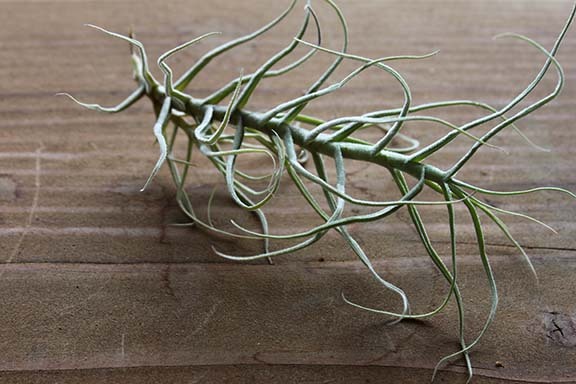 Check out our post on tillandsia for specific care information). 1) Bromeliads tend to be fairly slow growing, so they won't need a ton of fertilizer. If you are concerned about over-fertilizing, try a time-released formula (available at your local garden store). 2) Never put fertilizer grains directly in the "water cup" of bromeliads, as this will probably burn the foliage & may promote rot or algae growth (ew). 3) If you are using a liquid fertilizer, dilute it to half-strength and spray your plants approximately once a month. 4) For those of you who think "some fertilizer is good, more must be better" (you know who you are): Most bromeliads will not benefit by excessive fertilizer. Instead the plants will become "leggy" or, in the case of those with colorful foliage, large amounts of fertilizer will diminish the colors. How much water does my bromeliad need? The soil around your bromeliad should be kept moist (but not wet) & well drained. 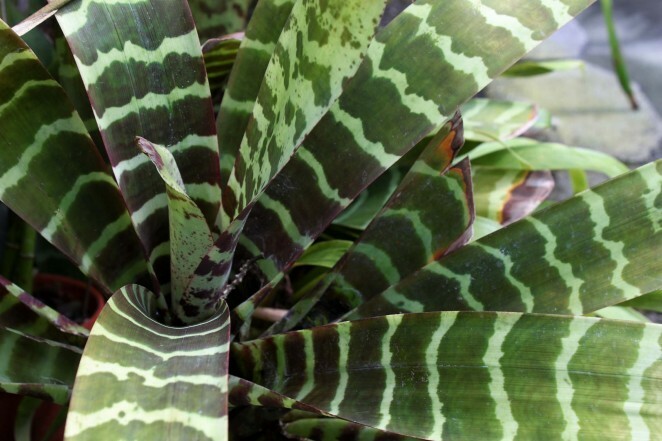 For bromeliads that have a rosette of overlapping leaves (or as I like to call it a "water cup"), the rosette should be kept full of water. Flush the cup every week & refill it with fresh water to reduce your chance of fungal rot. Tillandsia (air plant) varieties should be misted a couple of times a week. 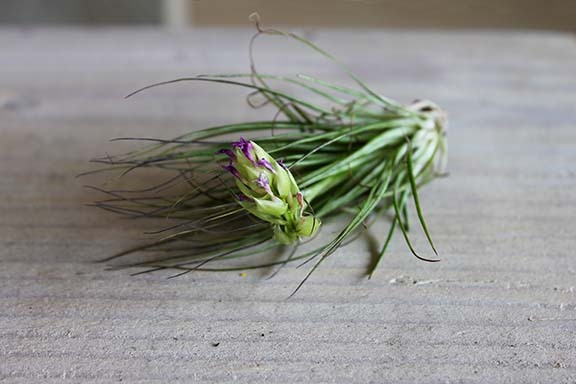 For detailed Tillandsia care check out our "Botanical Basics: Tillandsia" post. Will the "water cup" of my plant attract mosquitos? It can, but you can easily prevent your plant from becoming a breeding ground. Removing debris & flushing the cup with fresh water regularly should keep your plant mosquito free. If you find you have problems with mosquitos, use bacillus thuringiensis israaelenses (BTI) to kill mosquito larvae. This safe bacterial toxin comes as granules or larger disc-shaped chunks sold under brand names like Mosquito Dunks & Aquabac at nurseries & online. Simply sprinkle a few granules in the cup every 45-60 days. An alternative to BTI is available in your pantry. Use an eye dropper to put a drop of cooking oil in the cup every 2-3 weeks. This should smother any larvae present in the cup. My plant is doing something weird (getting leggy, turning green, "bleaching", or developing brown spots). Many of these issues can be attributed to how much light your plant is getting. 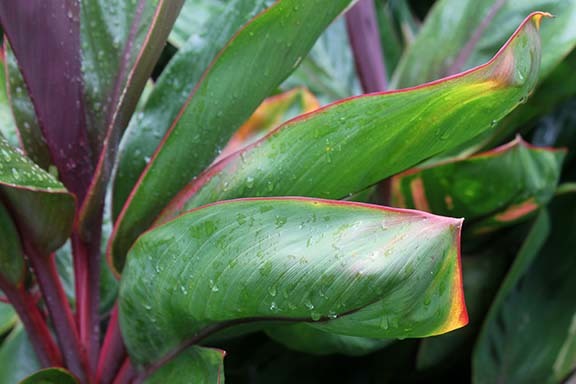 The amount of light your plant needs depends on the variety you have, but a general rule of thumb (brought to you by the folks at the Bromeliad Society International) is "soft leaf - soft light, hard leaf - hard light." If your plant has soft, flexible leaves (like Vrieseas), it does best in low light. Plants with stiffer, spiny leaves & Tillandsia like bright, filtered light. So how does this relate to that "weird" thing your plant is doing? If a plant has too little light, it may become leggy & will often turn greener, losing the bright colors it may have had when you bought it. Move your plant to an area that gets a bit more sun & it should perk up. Too much sun is likely the problem if the color of your plant starts fading or "bleaching", or develops brown, sunburned spots. If just the tips of your plant's leaves are turning brown, you should be watering more frequently. If you have little round dots on the top or bottom of the plant's leaves or white cottony looking patches, you've got bugs. If it's isolated to a small spot, use a cotton swab to apply some rubbing alcohol to the problem area. If you've got a bigger bug problem, mix some liquid dish soap with water & spray the plant. This should suffocate the bugs, just remember to rinse off your plant later so that your plant doesn't suffocate too. Can I encourage my plant to bloom? You can certainly try. The best thing you can do to promote blooming is to make sure your plant is getting all the essentials- fertilizer, water, & the proper amount of light. If you're the type who likes to meddle with your plant's life cycle, a mature plant can be forced to bloom by exposing the plant to ethylene gas. Sounds fun right? This is actually fairly easy & requires no chemistry set. Simply enclose the plant in a plastic bag with a ripe apple & keep it out of direct sun for a week. The apple will release ethylene which tells the plant to stop producing leaves & start producing a flower spike. My bloom looks...sad. Brown & sad. Now what? Be excited that your plant is going to start making keiki (hooray for more plants!). When your bloom starts to fade & is no longer "ornamental", just chop it off with a pair of scissors. The plant will direct it's energy into producing new plants for you to enjoy. You can separate the keiki from the mother plant with that same pair of scissors when they reach about a third of the size of the mother. Check out the Hawaii Bromeliad Society for more information on bromeliads as well as local events & meetings. Here in Hawaii we are lucky to have easy access to all sorts of wild botanical experiences just a short distance from our shop. One of our favorite excursions is to Lyon Arboretum, in Manoa Valley. Run by the University of Hawaii, the mission of Lyon Arboretum is "to increase the appreciation of the unique flora of Hawaii and the tropics, by conserving, curating, studying plants and ...providing educational opportunities". This is something that we at Paiko strongly believe in, and often visit the garden for inspiration. Below are a few images from the lower grounds and the Native Hawaiian Plants Garden of this amazing site. 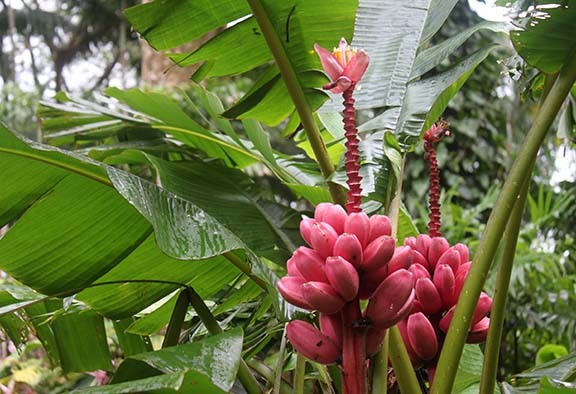 Surrounded by gorgeous plants, we explored just a small section of the 200-acre grounds, which includes fern, palm, and economic sections, as well as 'Aihualama Falls. We can't wait until our next trip out to this great garden to share more with you! Ti Plant- A member of the agave family, the leaves are often used for lau lau. 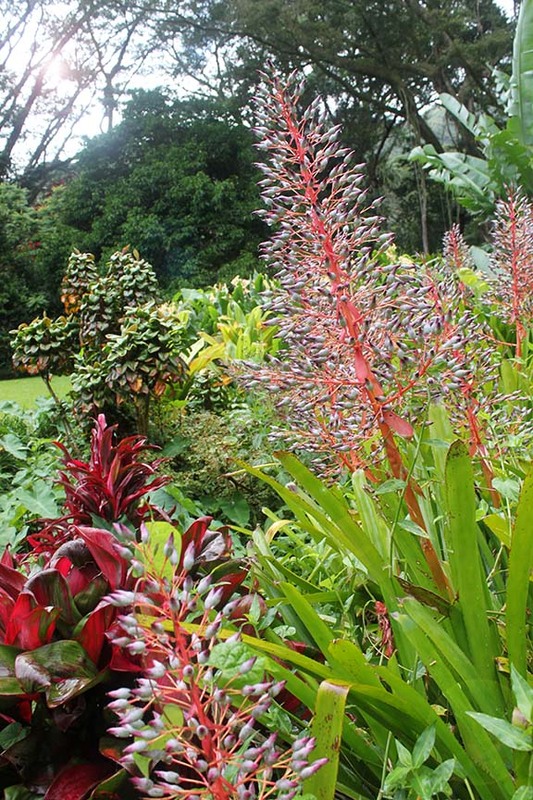 The plants come in a variety of colors and are also common in Hawaiian landscaping. 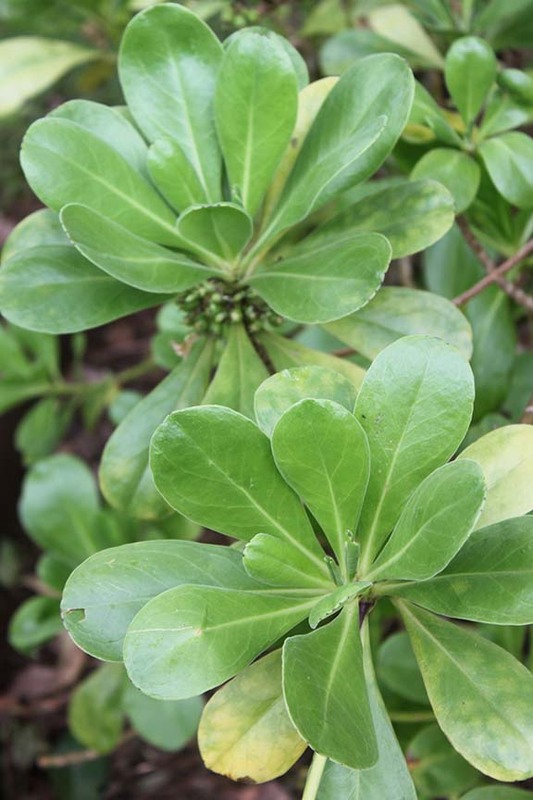 Naupaka Kahakai- indigenous flowering shrub. For more info on early Hawaiian use and legend check out this article. 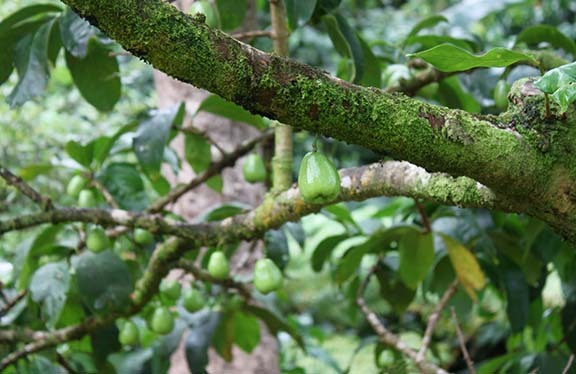 Unripe ohi'a 'ai (mountain apple), a beautiful tree with floral tasting fruits. Tillandsia (commonly known as air plants), are one of the easiest plant to keep around your home. Tillandsia are members of the Bromeliad family, and have grass-like leaves that are often quite alien in appearance. They can be found in deserts, forests, and mountains throughout the Americas. Like orchids and some ferns, these plants are epiphytes, meaning they survive by absorbing nutrients from water and the surrounding environment rather than soil. 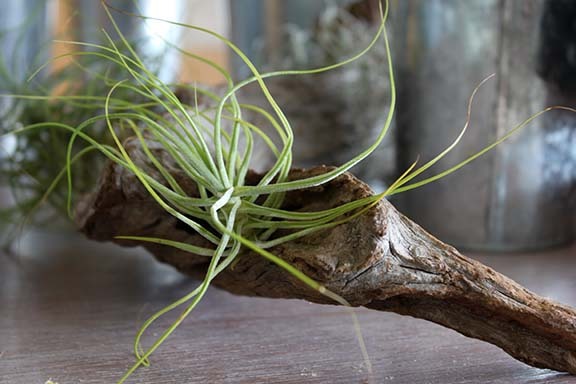 Unlike typical house plants, the roots of a tillandsia plant are primarily used as a support, attaching the plant to a surface or another plant. Tillandsia are great plants for landscaped terrariums, vases, and even alone on a table as décor. Although they don’t need much, giving your plant the proper care can result in a thriving, blooming plant that can add a touch of green to nearly any part of your home. My air plants just need air, right? Sorry, but not quite. Although these plants need minimal attention to survive, they will need air, light, and occasional watering. But don’t panic, we’ll take you through it. How much light does my plant need? Air plants should be kept where they'll receive bright, indirect sunlight. If your plant will be in a spot with more direct light, you will probably need to water them more frequently to keep them hydrated. How often do I water my plant? Although tillandsia can survive for long periods of drought, like your other houseplants they will eventually die without water. The good news is that these plants are very forgiving, so don't need to worry too much if you forget a week. Your plants should be watered by misting with a spray bottle once a week. A longer, 15-20 minute soak is recommended every 2-3 weeks. To soak your plants, simply dunk them in a bowl full of water, or hold them under running water for a few minutes. Gently shake the plants to remove any excess water from the base and the leaves, as pooled water with promote rot. A plant in bloom should be misted rather than submerged in water to avoid damaging the delicate flowers. If your plants are in a hot, dry area, or a spot with lots of direct light, you will need to water them more frequently. One way to gauge how your plant is doing is to notice how the plant's leaves look after watering- they should will feel a bit stiffer because they are full of water. When the plant needs watering, the leaves will feel softer and appear lighter in color. If your plant's leaves start to wrinkle or roll, it's probably been too long since your last watering. What temperature should I keep my plants at? 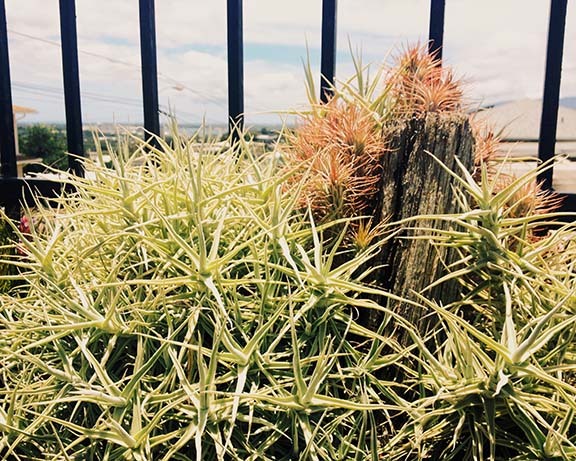 Air plants generally do well in warm weather, somewhere between 50-90 degrees. Luckily for us, Hawaii stays in that range, so unless you turn your A/C to sub-artic temperatures, your plant should be fine. Ugh, so much work. Do I need to fertilize too? You don’t have to fertilize your plant, but doing so may promote growth & blooming. 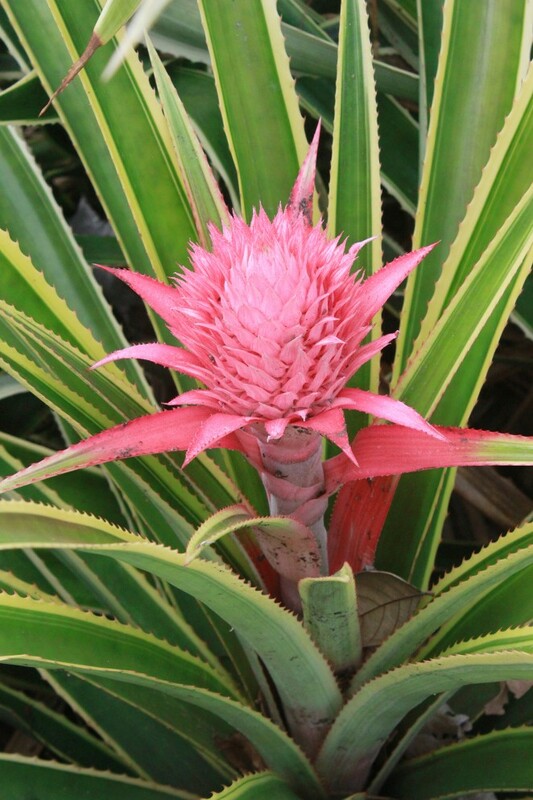 You can use a Bromeliad fertilizer or a diluted houseplant fertilizer once a month. Can I propagate my tillandsia? You sure can! Like succulents, propagating your tillandsia is remarkably easy to do. Around the time a plant blooms, you will start to see little plants pop up, known as "pups." When the pup reaches at least one-third the size of the parent plant, you can remove the pup by gently pulling it apart from the parent. You can then mount the pup or put it in a terrarium as you would any other tillandsia. I’ve seen air plants mounted on boards and sea shells, can I mount my plant? You can certainly mount your tillandsia onto another surface for display, with a few considerations. First, remember that your plant will need water, so whatever you mount the plant onto will be getting wet too- choose a base that is water-resistant. Secondly, you want to glue the base of the plant (nearest to the roots) to ensure the best results. Use a waterproof glue, as your typical white glue & even hot glue will break down with repeated watering. Can I keep my air plant in a container? 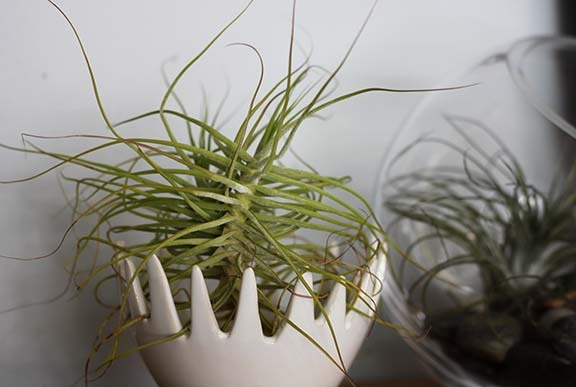 Almost any vessel will do just fine as a home for your air plant, although they do best with some air circulation, so avoid enclosed containers. These plants look great in miniature landscaped terrariums, check out our shop for inspiration!